My School App is designed to tell students what’s for lunch. I am trying to solve the inadequate eating habits of students. This is important because the inadequate eating habits of students can cause them to get diseases later in life such as diabetes and atherosclerosis. The mobile application also aims to solve other significant problems in our society such as food waste and allergic reactions in the lunchroom. Food waste has been getting harder to dispose of as it accumulates in our landfills. This eventually contaminates the ar that we breathe. Many students across the country are at high risk of having an allergic reaction in the lunchroom due to them not knowing the ingredients of their school lunch. Unfortunately, schools don’t make this information easily accessible for them. My School App addresses this problem by providing students in the Olympic High School community with easily accessible information about their school lunch. The mobile application tells them the contents of their school lunch, the amount of calories for each school lunch item, and crucial allergy warnings. Using this information students can make the healthiest lunch choice. This solution is unique because it takes a modern approach to the problem. Usually this information is provided by the school website, but the information cannot be easily seen on students’ phones. The intended users of this app are the students because they are ones that need this information the most. I built the mobile application through MIT App Inventor 2. I utilized coding blocks to program the main features of the app. One of the challenges that I faced while creating this application is the class assignment feature. To create this feature a lot of intensive programming was needed. Many times when the coding was not done well the feature wouldn’t function properly. The changes that I had to make was to change the user interface of the feature. I addressed this problem by using online resources on the MIT app inventor website and asking my instructor for help. I am proud that I was able to help my high school community by creating this app. 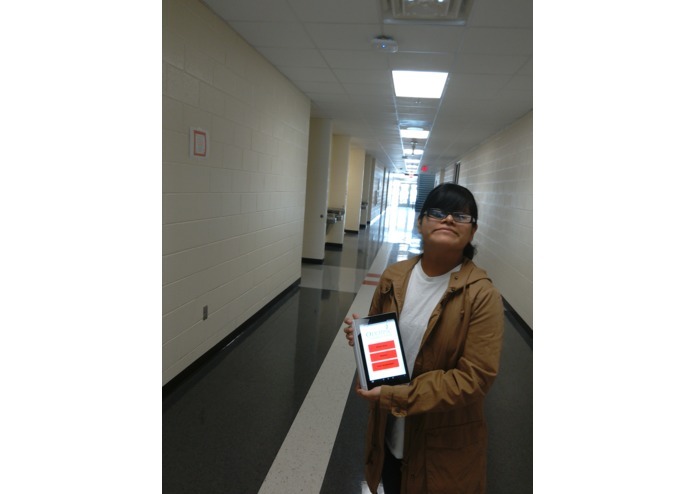 I am also proud that I was able to get the app to function properly because I had to learn about coding in order to create it. Learning about coding was very rigorous, but it was worth it in the long run. I learned from creating this mobile application that change in our community can be created one step at a time if we have the right mindset on the goal that we want to accomplish. I also learned that creating a mobile application is very rigorous and time consuming, but once the app has been completed it is a very rewarding experience to be able to help your community. Surprisingly, I learned that one of my main interests is programming. I find the world of technology and computer science a very engaging and rewarding experience. I plan to improve my app in the future by adding a feature where students can input the lunch menu items that they plan to consume the next school day. This will help the school lunch staff prepare the exact amount of food for our students. Hopefully, our food waste will be reduced by knowing beforehand how much food needs to be prepared.